Erik du Plessis, former Chairman of Millward Brown South Africa and a pioneer in the field of neuroscience in advertising, died on Monday night after a long battle with cancer. He was 69 years old. Du Plessis (pictured) began his career as a market analyst, researcher and brand manager at SFW, before joining BDDO advertising as Media Director and Research Director. In 1984, he founded research and insights company Impact Information, where he built a database called Adtrack for tracking television commercials. In 2000, he sold the business to Millward Brown, and managed during the earn-out period, before becoming Chairman. In 2005, he wrote a book called The Advertised Mind: Groundbreaking Insights into How Our Brains Response to Advertising, which won WPP's Atticus Award for the most original thinking in communications. The book theorizes that the strongest factor in successful marketing is whether an ad creates an emotional response in its target audience. A follow-up in 2011, The Branded Mind: What Neuroscience Really Tells Us about the Puzzle of the Brain and Brand, examines the neuroscience of brand decisions. In addition, du Plessis' thoughts were published globally in the Journal of Advertising Research, ADMAP, the Harvard Business Review and many local publications. He was the Visiting Professor at the Copenhagen Business School, teaching neuromarketing from 2007-2009; and a Teaching Fellow at the Curtin University of Technology, Business School in Perth, Australia between 2007 and 2009. 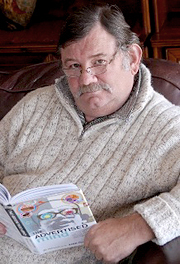 The recipient of many awards, du Plessis won best paper at SAMRA on three occasions, he was the winning author at the Telmar Awards in New York, and in 2001, was awarded the SA Media Directors Circle Platinum Achievement Award. In a statement, Kantar Millward Brown described du Plessis as a pioneer not only in South Africa, but globally, with regard to his thinking around the influence of neuroscience on brands, adding that this was 'a precursor for much of the modern world's understanding of the brain and its ability to process advertising'. Kantar CEO Eric Salama added: 'Erik was a true giant. His influence extended way beyond South Africa to Kantar, our clients and the industry around the world. I have no doubt that his legacy will endure'. Erik du Plessis contributed to NMSBA's INsights and spoke multiple times at the Shopper Brain Conference. Our thoughts are with his relatives and friends.